1. This forger of Van Gogh's artwork. 2. This person, who sees through it all. 3. This guy, who is now the coolest person at the bar. 4. 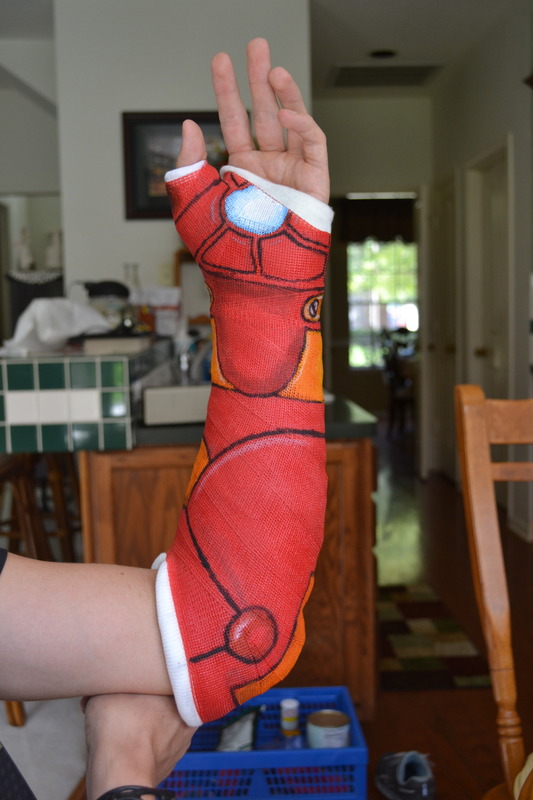 This guy, who got some help from Iron Man in the healing process. 5. And there's this Iron Woman. 6. This person, who didn't want to give up their sweet kicks. 7. This girl, whose cast was probably ready to come off by the time she finished this intricate geo-floral design! 8. This Dr. Who fan. 10. This savior of Gotham City. 11. This girl, who is clearly an All-Star. 12. This lady, whose designs actually look like those flash tattoos everyone was buying at Sephora this year. 13. 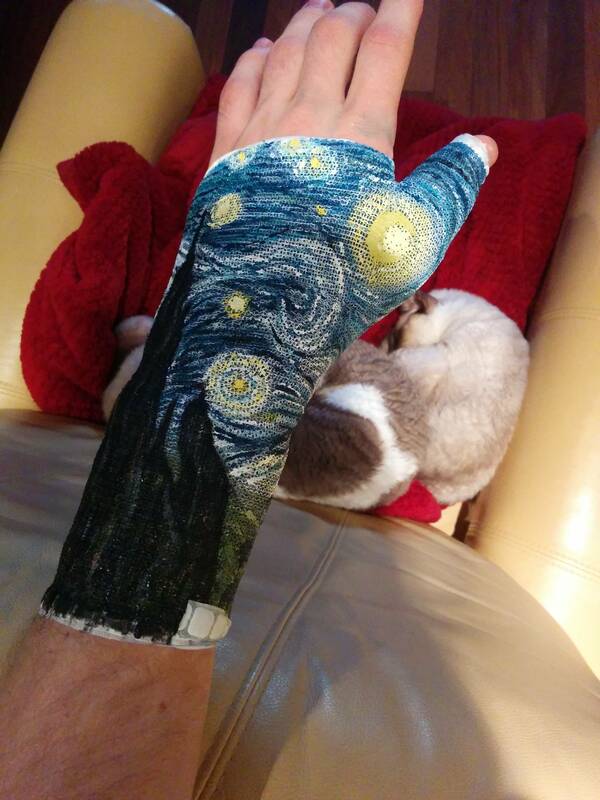 This person, whose broken bones would have looked amazing on the Day of the Dead. 15. This woman, whose black and gold cast legit looks like contemporary art. 16. This person, whose broken wrist got covered in a web of flowers. 17. 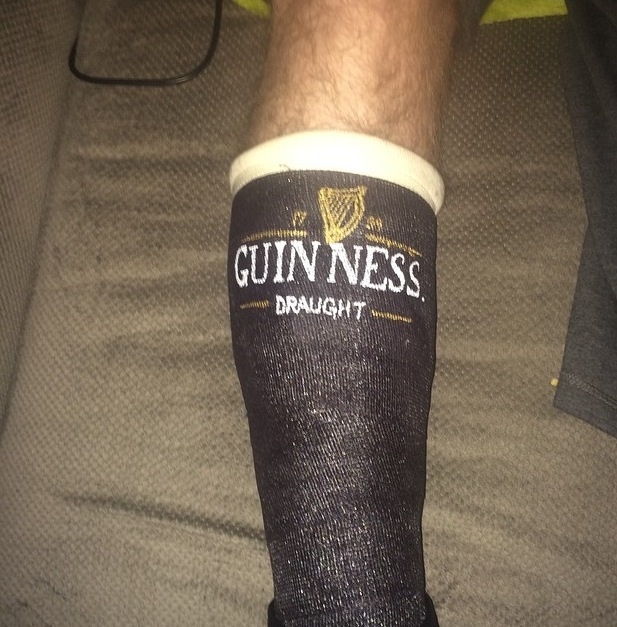 This person with a leg cast illustrated to look like a series of ridiculously awesome tattoos.